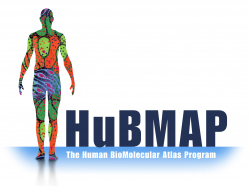 University of Florida Health is one of five institutions nationwide selected by the National Institutes of Health to help create a groundbreaking 3D cellular map of large portions of the human body that may one day transform understanding of diseases, the NIH announced today. Other tissue mapping centers selected by NIH are the California Institute of Technology, Stanford University, Vanderbilt University and the University of California San Diego. Additional institutions were selected as either data hubs or developers of “transformative technology,” among them Harvard Medical School and Harvard University, Carnegie-Mellon University and the New York Genome Center. Want to learn more? Read Dr. Atkinson’s article “Mapping the 100 trillion cells that make up your body” here.